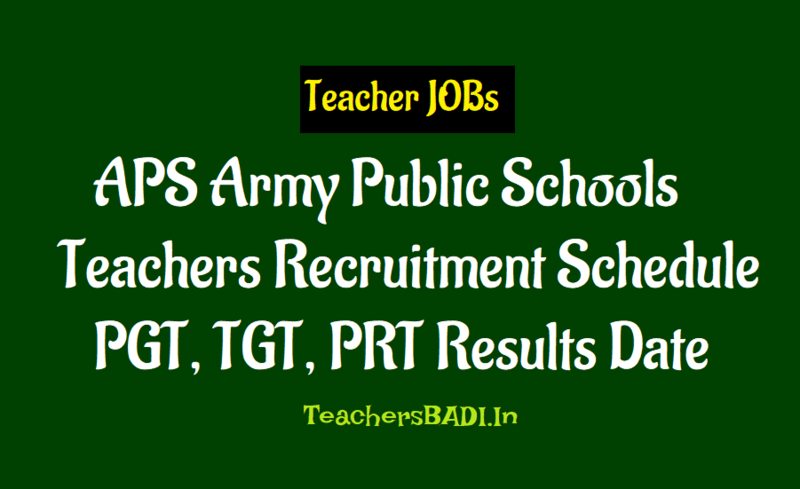 APS Army Public Schools Teachers Recruitment Schedule, Results Date 2018 announced: The Army Welfare Education Society (AWES) would declare the results of the screening test for the recruitment of teachers in Army Public Schools. The scorecard is only available for candidates who have qualified in the exam. The examination for the recruitment of Post Graduate Teachers (PGTs), Trained Graduate Teachers (TGTs) and Primary Teacher (PRT) at various places across the country to be held from 17, 18-11-2018. 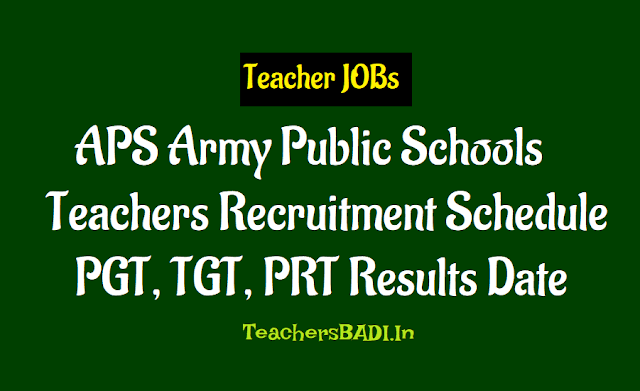 The Army Public School aims to recruit 8000 candidates for the post of TGT/ PGT/PRT teachers in its 137 schools across the country for the academic session 2018-19. AWES had organized the APS CSB 2018 exam in an on-line mode at exam centres in 77 cities earlier this month. Candidates need to score minimum 50% to qualify the exam. The qualifying candidates will be eligible to appear for face to face interviews followed by evaluation of their teaching skills and computer proficiency. The selected candidates will be eligible to teach in CBSE affiliated schools for the lifetime provided they apply for the job within 3 years of passing the screening test. The candidates will be selected on the basis of a screening exam conducted online by an agency, interview and evaluation of teaching skills and computer proficiency. For any query, all the candidates can check the official website. APS CSB 2018 Result to be declared by the Army Welfare Education Society (AWES) India on its official website – awesindia.com. AWES would organize the APS CSB 2018 Exam from 17, 18-11-2018, to select candidates for the posts of TGT/ PGT/PRT teachers in Army Public Schools. As per the official website, ‘Login through ‘Existing User Login’ to view your Result for CSB 2018 Exam. Score card is only available for the candidates who have qualified in the exam’. Candidates who had appeared in the same can follow the instructions below and check their exam result status now: How to download APS CSB 2018 Result? : First Visit the official website - http://awesindia.com/. Click on the hyperlink that reads, It will take you to another page, where you need to login with your credentials and check your result status. Preview your Scorecard and Download and take a printout for further reference. The Direct Link to be like: http://www.aps-csb.in/College/Index_New.aspx. As per reports, the examination for the recruitment of Post Graduate Teachers (PGTs), Trained Graduate Teachers (TGTs) and Primary Teacher (PRT) at various places across the country to be held from November 17, 18 at various test centres across the nation. Further, approximately 8,000 vacancies will be filled through this exam. The AWES website is running slow due to heavy traffic. You may have to wait and try again to check the result. Approximately 1,000 vacancies will be filled through this exam. Candidates who clear the exam qualify for the interview. This will be followed by the evaluation of teaching skills. A computer proficiency test can also be held if the selection committee wants.